Adopted – First Page (2006 – 2012) – G.R.A.C.E. 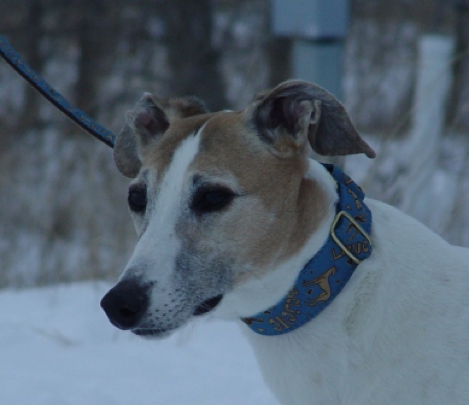 The following hounds found their “furever” home with GRACE families in 2006 – 2012. 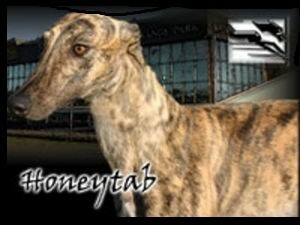 Congreytulations to the hounds and their new families! 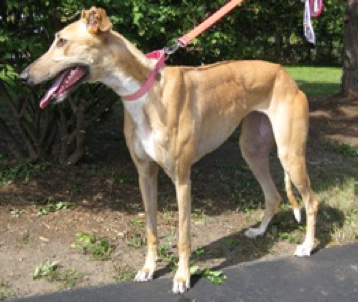 Date of Birth: 8/26/2011 Weight: 60 lbs. 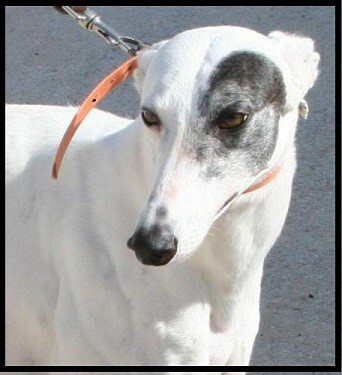 Mancinita is another very special lady that has come to us from Kansas. Mancinita is doing wonderful in her new home. Congratulations to her and her new family. Date of Birth: 3/3/2009 Weight: 55 lbs. 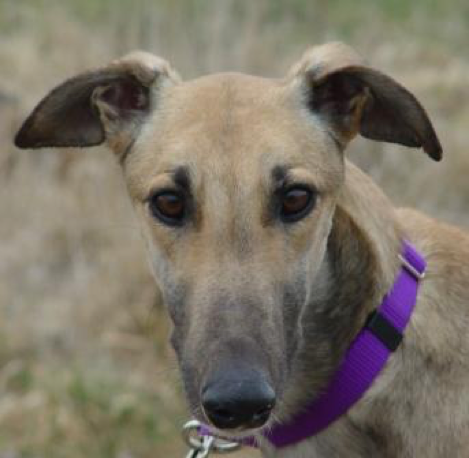 Bocce is another very special lady that came to us from Kansas. She has had her vet work completed. She is a sweet and beautiful little girl. 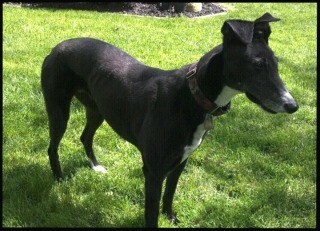 Bocce has settled into her new home and has also received a beautiful new name...Bocce. She is doing great and is so happy!!!!! Date of Birth: 2/21/2010 Weight: 76 lbs. Gaf is here from Kansas. He is a beautiful boy that is so sweet. Gaf has been adopted!!!!!!! Date of Birth: 11/16/2008 Weight: 60 lbs. 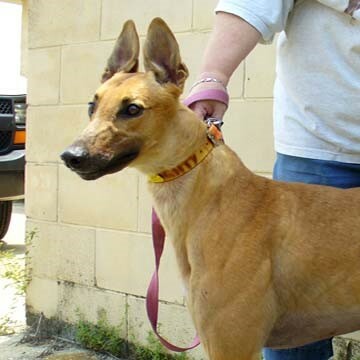 Zoey has just come to us from Florida and has already found her forever home. Congratulations Zoey and your new parents!!!! Date of Birth: 10/00/2010 Weight: 58 lbs. 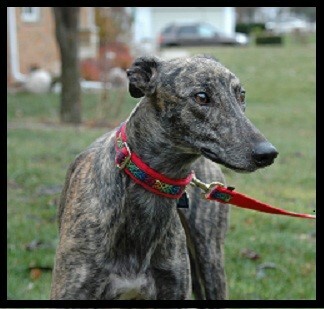 Olive has just made the journey from Florida to Michigan and is now in her new home. She has found a home to call her own. 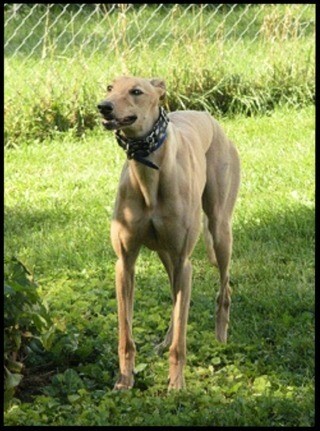 Date of Birth: 1/10/2011 Weight: 70 lbs. Castor has arrived here in Michigan. 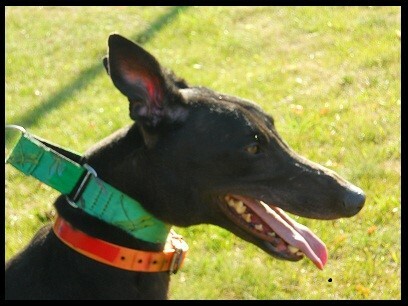 He is a beautiful black boy who will have a lot of love to give. He went on a home visit and was adopted. I have been adopted and am so happy in my new home. Who couldn't love a face like this!! Date of Birth: 10/13/2003 Weight: 65 lbs. 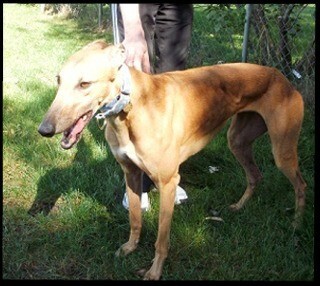 Brash is coming to us from Kansas and is already going to be adopted. 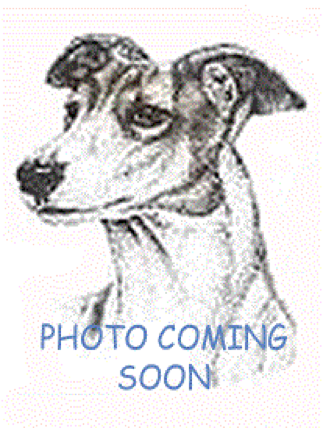 Her sister Image (Bohemian Unwary) has already been adopted and is awaiting her arrival. 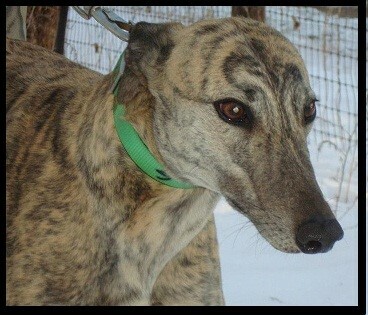 Once her vet work is completed she will be traveling from Kansas to Michigan to be in her new home in Grand Rapids. 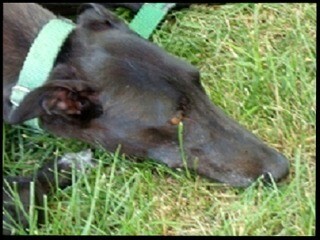 Well Brash has been reunited with her sister Image and they look like twins. I know that Rick and Dorothy are so excited about having the girls!!! Date of Birth: 8/31/2010 Weight: 60 lbs. Hi, my name is Skyler. I have been adopted and my new family just loves me so much. I have kids to play with and toys and even some cat friends. Oh it is so much fun to have a family of my very own. Date of Birth: 5/19/2004 Weight: 55 lbs. 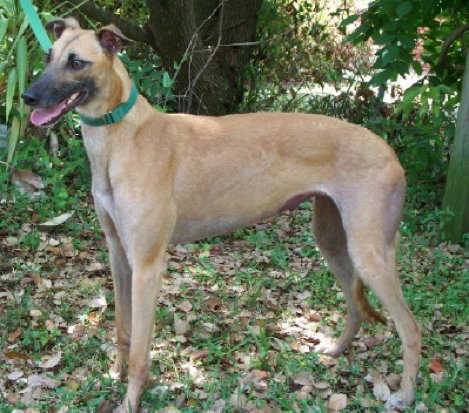 Goddess has been adopted! She has many hobbies such as playing with her toys, lounging with her family by the fire pit, and playing a mutual game of chase with the resident kitty 🙂 She is especially loving; nuzzling and snuggling with her parents. 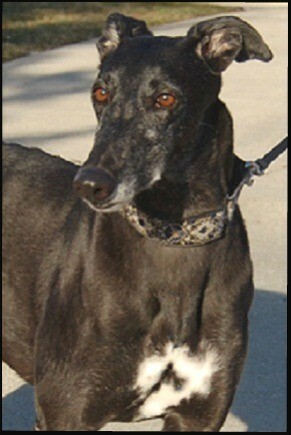 Goddess has found her place into the hearts of her foster parents and has been adopted. Congratulations to Goddess and her family. Date of Birth: 10/22/2004 Weight: 56 lbs. Harmony has found her forever home! Congratulations to Harmony and her new family!! Date of Birth: 3/13/2008 Weight: 76 lbs. Hopper and I got a wonderful Christmas present....we got adopted together! We were both so darn cute that our new family couldn't decide so they took us both. Not only did I get a new home, people who love me I got a buddy too. Date of Birth: 3/14/2010 Weight: 68 lbs. 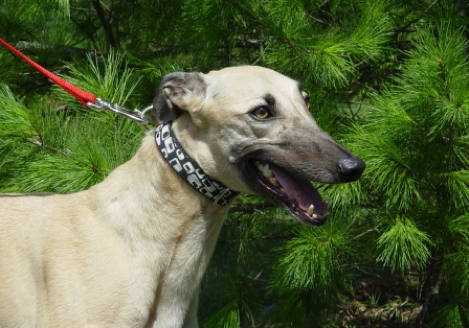 Hopper has been adopted and has found a wonderful home where he can watch the squirrels play all day! Date of Birth: 3/3/2009 Weight: 66 lbs. 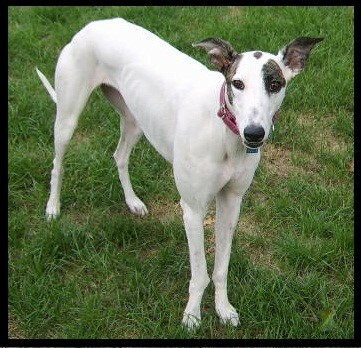 Vella Has found her forever home!!! Congratulations to both Vella and her wonderful family!!! Date of Birth: 9/1/2011 Weight: 54 lbs. 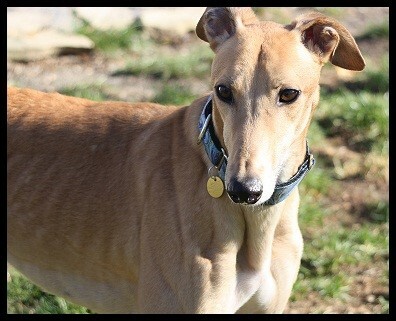 Janey has been adopted and has found a family to call her own. Date of Birth: 4/7/2009 Weight: 52 lbs. Phoenix is so happy in her new home!!!! 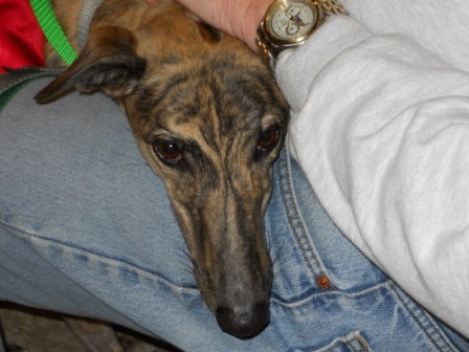 This little lady has been adopted....Great going Phoenix!!!! Date of Birth: 1/5/2009 Weight: 56 lbs. Missy has found her forever home and is soooooooooooooo happy. Enjoy retired life Missy! Date of Birth: 8/1/2011 Weight: 76 lbs. 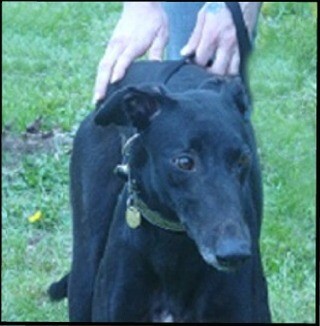 My little boy Troy has found his forever home too. He and his brother Leo are so happy. I know that he enjoys his new parents and they just love him so much. I will miss him but know that he has a wonderful home. Date of Birth: 9/25/2007 Weight: 67 lbs. Cutey has found her forever home and is so happy. Her new family is so happy with this little girl that they couldn't think of a better fit for their family. Date of Birth: 4/12/2008 Weight: 72 lbs. Date of Birth: 1/13/2004 Weight: 61 lbs. I am fostering the most incredible little girl you could ever imagine. Her racing name was R.C. Hot Stuff, but as you can only imagine that is history. I renamed her Tula, which is an American Indian name which means strength. 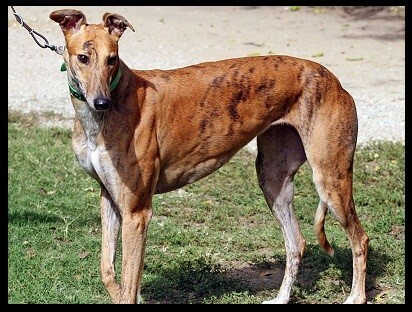 I would have to say that she has had to have a considerable amount of strength after racing.....48 races, then being used as a brood mom, having .... 8 babies, and somehow missing side teeth along the way, She is one strong little lady. She is not only beautiful, but her inner beauty shines even brighter. She is sweet, gentle and wonderful with my little pups. All I can say is that she is amazing. Date of Birth: 8/10/2008 Weight: 68 lbs. It didn't take Coach long to find his forever home. Great going Coach!!!!! Date of Birth: 5/25/2010 Weight: 56 lbs. 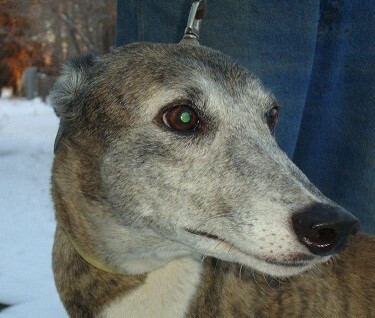 Shelly is a sweetheart and has found her forever home. Great going Shelly!!!! Date of Birth: 6/2009 Weight: 46 lbs. 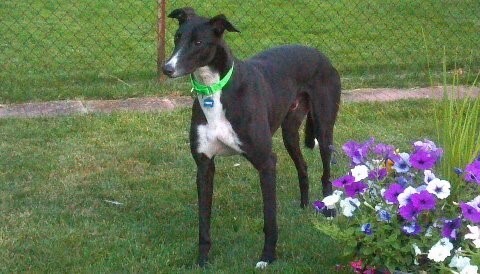 Rally has found her forever home in the great up North and has become a "uper". Congratulations on finding your forever home Rally!!! Date of Birth: 7/23/2011 Weight: 46 lbs. I made it to my new foster home and I found a way to worm my way into their hearts. I am officially adopted and my foster parents flunked fostering 101. Well I was cute they couldn't resist. What's not to love with a face like this!!! Date of Birth: 4/24/2008 Weight: 76 lbs. Buddy has just arrived from Florida and is learning the benefits of being a pet. Buddy is one happy boy whose tail is always wagging. He loves everyone he meets. Date of Birth: 4/3/2008 Weight: 64 lbs. Date of Birth: 8/01/2008 Weight: 58 lbs. Mona has just come to us from Florida. Mona has found her forever home and is sooooo happy. Congratulations Mona and her new family. Date of Birth: 4/01/2010 Weight: 80 lbs. Duke was found running loose. 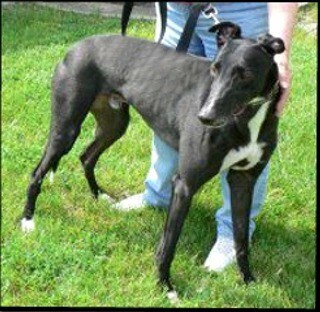 He is a wonderful boy who has worked his way into his foster parents heart. Needless to say Duke has found his forever home!!!!! Good going Duke. Date of Birth: 10/27/2010 Weight: 72 lbs. Ollie has just come to us from Florida and we found out that he has a heart murmur. 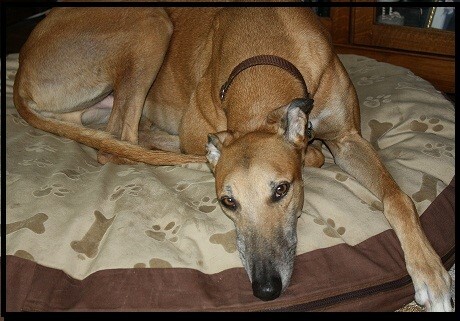 Ollie will stay with his foster mom and his new grey friends permanently as a GRACE foster. 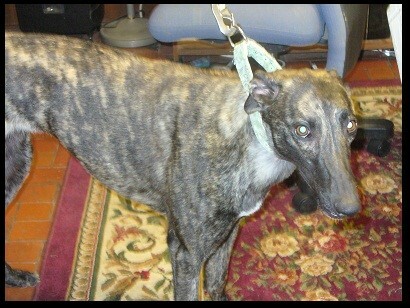 We at GRACE and his foster mom will take care of him as long as he needs us. Date of Birth: 5/13/2007 Weight: 80 lbs. 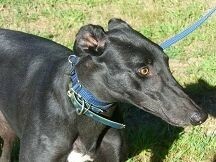 Luke has been adopted. He is doing so great in his new home and his new parents love him so much. 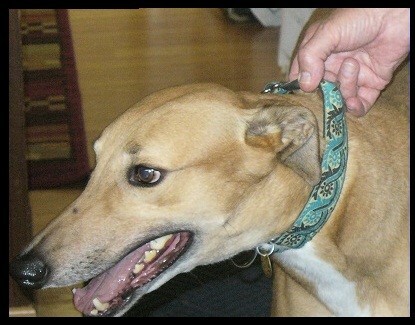 Good going Luke and congratulations on finding your forever home. Date of Birth: 4/18/2008 Weight: 76 lbs. Anthony found his forever home. He just decided it was where he was going to be and cozied up to his new parents. They thought they were going to adopt another until they met Anthony. 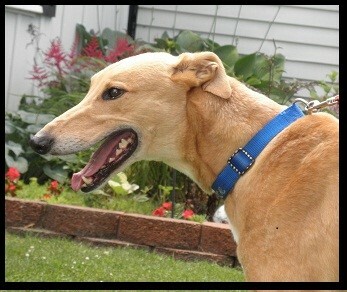 Good going Anthony and congratulations on finding your forever home!!!! Date of Birth: 5/4/2010 Weight: 69 lbs. Loki has just arrived from Florida and is learning the benefits of being a pet. Loki is doing wonderful in his new foster home. He loves his new foster brother Rocky who is getting used to sharing the attention. Rocky got his wish and so did Loki they are now brothers. Loki is so happy in his home and we know that his parents just love him so much. Congratulations Loki on finding your forever home!! Date of Birth: 6/28/2010 Weight: 66 lbs. 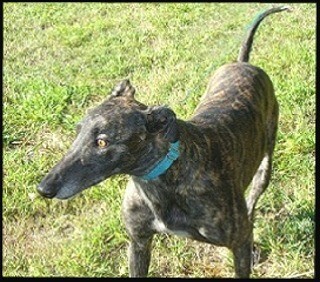 San Tan Venom is now being called Calypso by her new parents. She is lucky enough to say that she is home!!!! 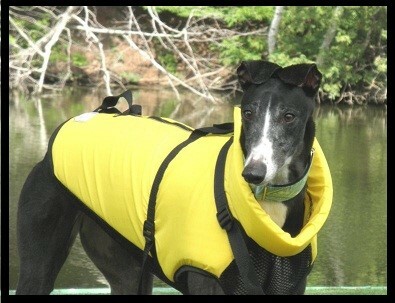 Congratulations Calypso on finding your forever home!!!!! Date of Birth: 12/1/2003 Weight: 66 lbs. 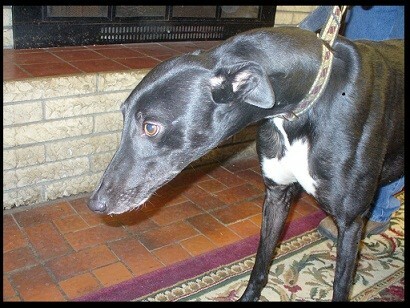 Allie has found her forever home!!!! Congratulations Allie on finding a place to rest your paws!! Date of Birth: 12/17/2009 Weight: 50 lbs. Cinch has just arrived from West Virginia and is learning the benefits of being a pet. 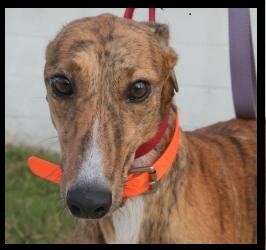 She has been placed in her new foster home where she has worked her charm. With a face and look like this who could resist her charms, certainly not her foster dad who has signed her adoption papers and flunked fostering 101. 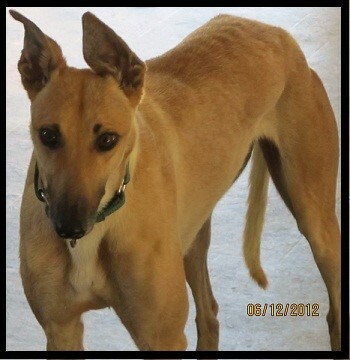 Congratulations Cinch on finding your forever home!!!!!!!!!!!!!! Date of Birth: 5/17/2011 Weight: 70 lbs. Bosco has come to us from Kansas. He was adopted shortly after he came to us from Kansas. He is well loved in his new home. Great going Bosco !!!! Date of Birth: 11/22/2006 Weight: 64 lbs. 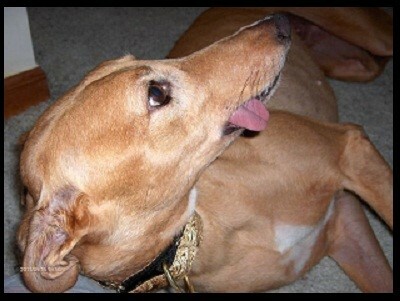 Ginger has been returned to GRACE and is doing wonderful. So far she has no issues in her foster home and just loves her foster parents. Ginger did pretty good at the meet and greets. She is a little bit shy but is a real lover. I have found my forever home and I am soooooo happy. Date of Birth: 11/18/2008 Weight: 64 lbs. Wiki has been adopted. She has found her forever home. Great going Wiki!!!!!!!!!!!!!!! Date of Birth: 7/17/2008 Weight: 64 lbs. Date of Birth: 7/13/2009 Weight: 70 lbs. Jack has found his forever home. His foster parents loved him so much they found that they just couldn't live without him. He is so sweet and is just starting to blossom. He fits in perfectly with his new sister Tilley and the min pins in his new home. 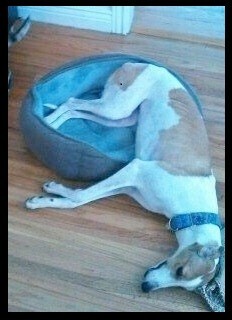 Great going Jack on being so special that you are now home!!!! Date of Birth: 10/9/2004 Weight: 58 lbs. Date of Birth: 11/17/2007 Weight: 68 lbs. Hi, my name is now Libby (short for Liberty) as I was adopted on the 4th of July. I am so happy with my new mom and dad and I have a wonderful big backyard with lots of squirrels to chase!!!! My new bed is terriffic too along with all the new toys and stuff I have. 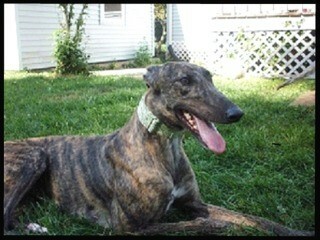 Oh and I want to thank my foster mom for helping prepare me for my new home. I will try and remember all the stuff you taught me (it may be hard). I know one thing for sure I'm HOME!!!!!! Date of Birth: 8/29/2008 Weight: 72 lbs. 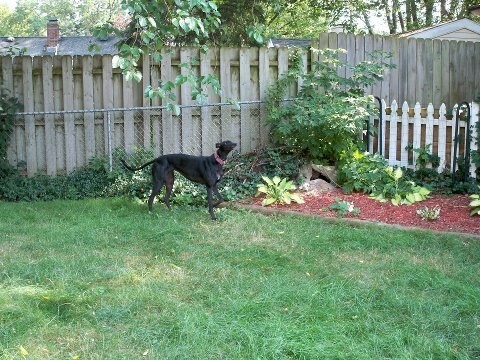 Trent can now be found relaxing in his new backyard with his brother Arnie. 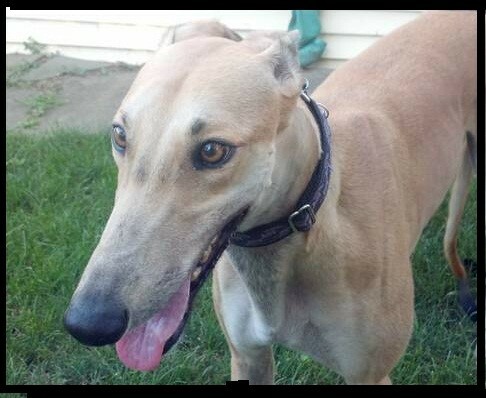 Trent has found his forever home and he got to go with his foster brother Arnie. They are so lucky to have found homes together . 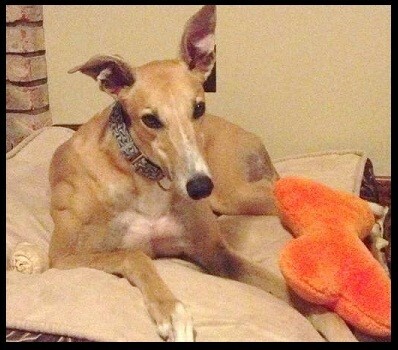 Trent is so excited about his new home and his bed and all his toys. Great going Trent!!!! 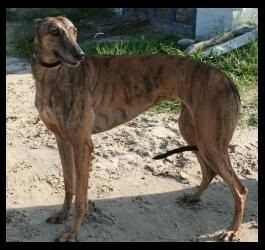 Also great going to his foster parents who helped Trent make the transition from the Track to the couch!!!!! Check out my new picture!!! Aren't I handsome!!!!! Date of Birth: 9/2011 Weight: 52 lbs. Date of Birth: 12/17/2009 Weight: 75 lbs. Arnie did his magic at the Belleville Strawberry Festival. He found his new parents. 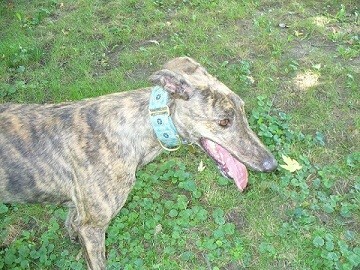 He did such a great job he also got to take his foster brother to his new home. Now Trent and Arnie are living together and loving life. Great going Arnie. AWWWWWWW don't I look happy, this is me being myself in my new backyard. Date of Birth: 6/9/2005 Weight: 71 lbs. Date of Birth: 8/2/2009 Weight: 70 lbs. Leo is so handsome! And his personality is even better than his looks! Leo has found a wonderful home to call his own. Congratulations on finding your forever home!!!! Date of Birth: 6/4/2007 Weight: 60 lbs. Initial Evaluation: No Cats Please. But I Am Small Dog Safe. 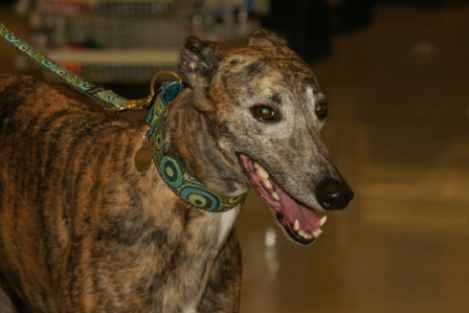 Casey is a happy friendly dog and she loves to meet new people. She leans into you when petted and does the "helicopter" tail. She will "roo" for you as you get ready to go for a walk! Casey is so happy in her new home. We at GRACE are so thankful to her foster families who have helped her to make the transition to her new home. 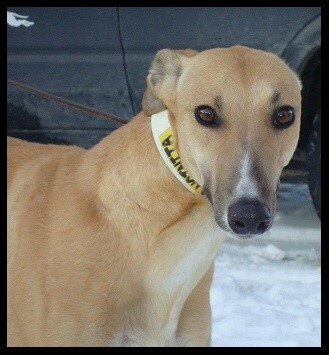 Congratulations Casey you are home!!!! Date of Birth: 7/8/2009 Weight: 60 lbs. 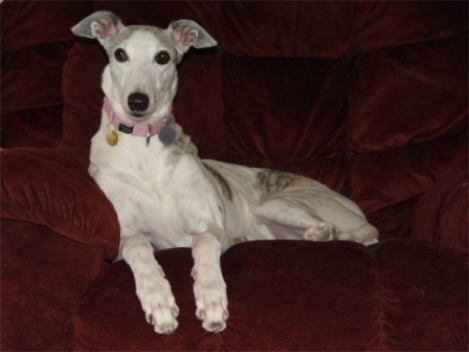 Trudy has found her forever home and is so happy with her grey family. 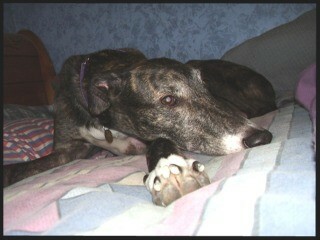 She joins to other greys from GRACE, Max and Bo and a new close buddy Pyro. Good going Trudy I know you are in good hands and have a loving family. Date of Birth: 11/24/2008 Weight: 54 lbs. Kimmy is doing wonderful in her new home. Her new owners think she is the best and have so many wonderful things to say about her. I am so glad that she has found her forever home. Date of Birth: 6/28/2005 Weight: 55 lbs. My name is Moxxie. At 6 years young I am in the prime of my life! I am an outgoing girl. I love to go for walks, car rides and explore new places. My other pastimes include roaching and playing with my foster brother. I am fine with other animals AND I will give you kisses! I know how to sit and lay down since I am a graduate of the SCAL program. I have found my forever home!!!!!!!!!!!!!!!!! My new parents just love me soooooooooooo much and I am so happy. Date of Birth: 10/16/2009 Weight: 92 lbs. I am a really sweet boy. I earned my name because of my size and yeah I'm not tooo graceful! Hey it's not my fault that I'm a big boy!!! My new parents just couldn't resist my charm and oh yeah my grace (ha ha). I love my new mom and dad and I know they love me. Date of Birth: 4/07/2009 Weight: 70 lbs. Hi my name is Bo. I am really sweet and very handsome in person. 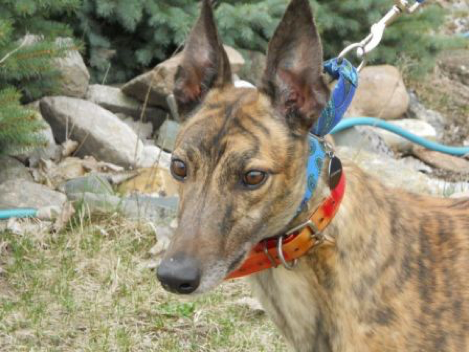 I am a beautiful dark brindle with stunning eyes. I am a bit shy, but I am getting better all the time. 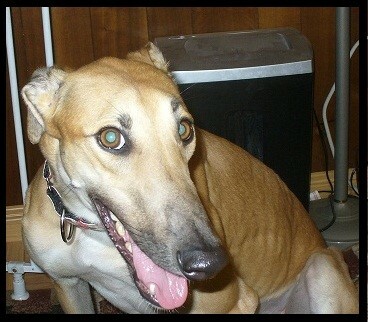 I like to play with my foster sister and brother greyhounds and I don’t mind hanging out in my crate. I play with toys occasionally, but I love to chew on bones. I too have found my forever home. My parents took me as a foster and it wasn't long before I worked my way with my foster dad that he realized he couldn't live without me. I am so happy. 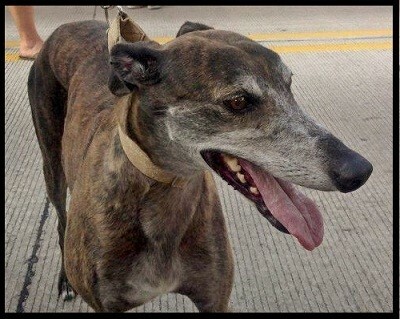 I have other greys to play with and mom tells me this is just the start. Date of Birth: 4/12/2010 Weight: 72 lbs. 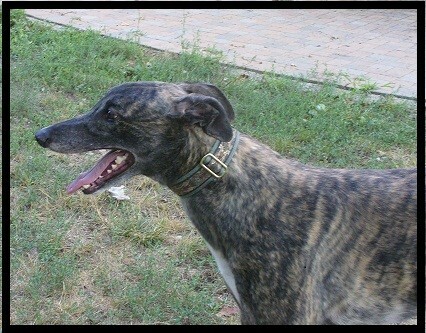 Fred loves to play with toys and the other greyhounds he is currently living with. His tail is always wagging and his ears flip forward in an adorable fashion. Fred is a wonderful dog who is as sweet as he is cute. 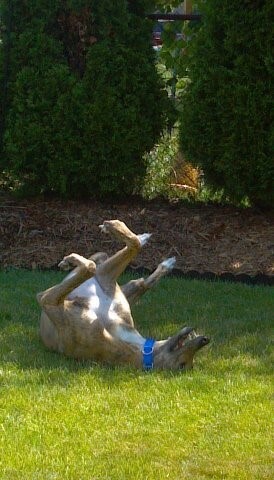 Fred has wonderful manners and is such a greyt boy. He loves to lean on you when you pet him. Wouldn't he make a wonderful addition to your home!!! Fred has found his forever home and couldn't be happier. His new dad talks about him all the time so I know that Fred is in good hands. Good going Fred and congratulations!!!! Date of Birth: 10/13/2003 Weight: 58 lbs. Image just arrived in Michigan. She is another beautiful retired mom that made the trip from Kansas. 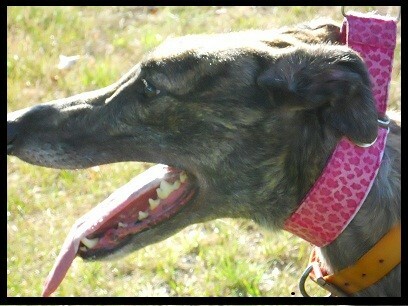 She has been greyt with the two & four year olds in her foster home. In the words of her foster parents "She's about as perfect as they come". 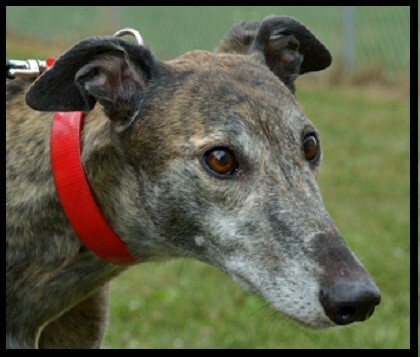 Could her forever home be with you? 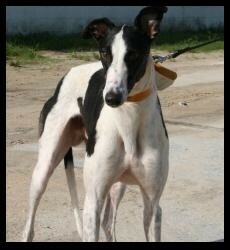 Image has been adopted. Good going Image you are where you will be loved and pampered. 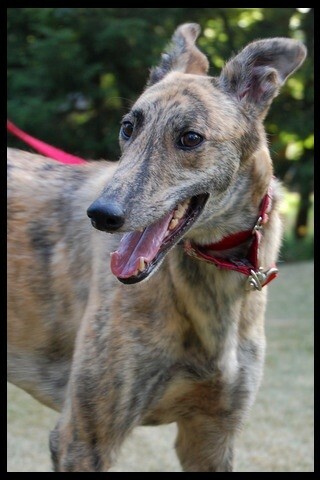 Thanks too to her foster parents who took such great care of her and helped her prepare for her forever home!! Date of Birth: 1/10/2004 Weight: 57 lbs. 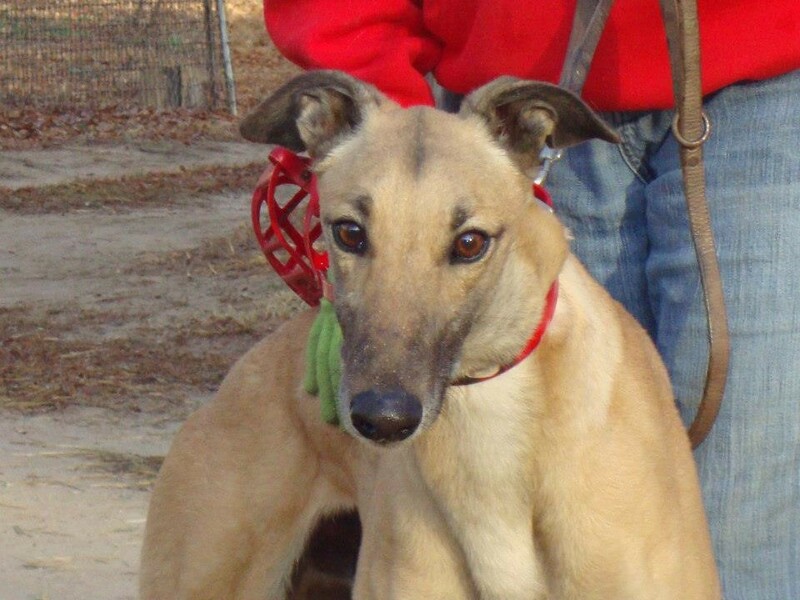 Miss December will win the hearts of her adopters immediately and will give back tenfold the love she is given! December has found a wonderful home and she got to take a friend with her. 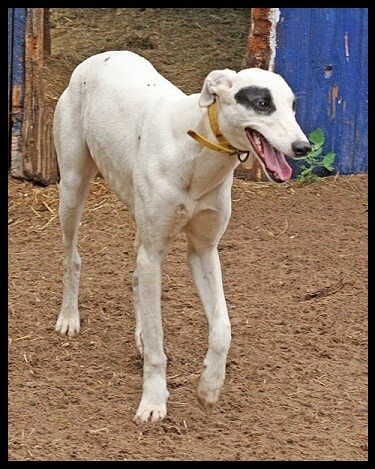 December is so happy she has kids to pamper her, her new mom and dad to love her and lots of toys to play with!!!! Great going December I know that you will be happy. Date of Birth: 12/7/2009 Weight: 58 lbs. 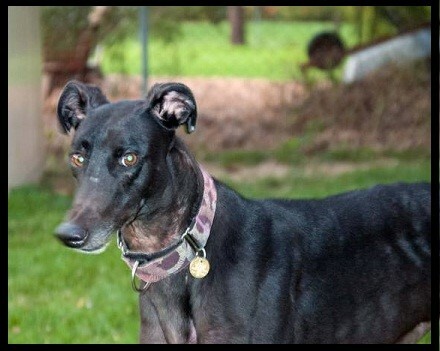 Greta has worked her magic and has found her forever home. We knew that when they saw her the first time it was a match made in heaven. She cuddled and snuggled so they couldn't resist. Good going Greta!!!!!! Date of Birth: 1/28/2008 Weight: 60 lbs. I have found my forever home!!!!!!!!!! I am so happy with my new mom and dad. Date of Birth: 11/22/2008 Weight: 71 lbs. I am sooooo lucky I have found my forever home. I guess my foster dad did good on the two is so much better than one. I have a wonderful home and am getting sooo spoiled. Good going Max!!!!!!!!!! Date of Birth: 12/2010 Weight: 45 lbs. 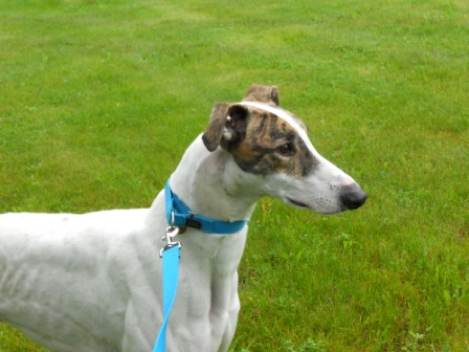 Juno is now doing wonderful with her new mom and her greyhound sister who is deaf. I know that she will be there for both of them. 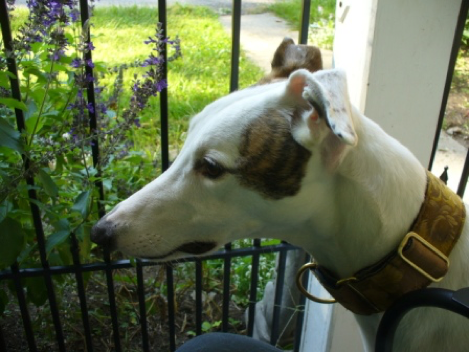 Great going to our wonderful foster parents who helped her get ready for her forever home. 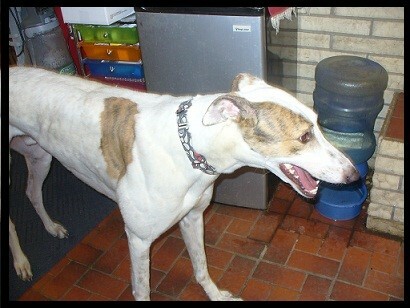 Great going Juno on finding your forever home!!!!!!!!!!!!!! Date of Birth: 3/2/2005 Weight: 75 lbs. Guess what? I have been adopted!! Yup my foster mom had a hard time giving me up so she decided to adopt me. I sorta fit here real good. Mom has a house of different characters and I am just one more. Date of Birth: 10/26/2009 Weight: 60 lbs. 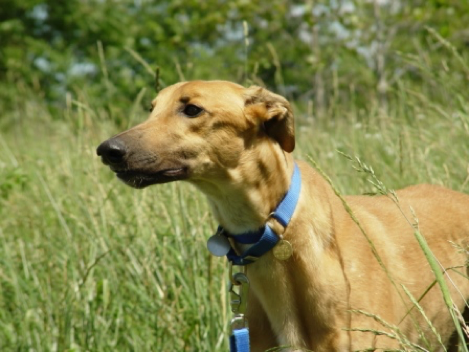 Luke is a wonderful boy and has already found his forever home. He will be going to his forever home on Friday. Luke is happy and doing wonderful in his new home. Date of Birth: 4/22/2008 Weight: 75 lbs. This is Eddie relaxing by the lake up-north. He's 4 yrs old and we adopted him this past February. 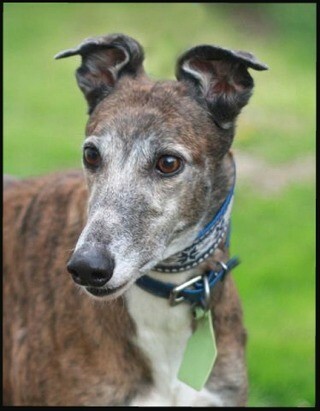 He's our 1st Grey and the most relaxed, easy-going dog we've ever had...such a charmer!! Date of Birth: 7/2/2007 Weight: 55 lbs. Molly has found her forever home and could not be happier. She and Birdie do make a wonderful pair. Date of Birth: 1/24/2008 Weight: 64 lbs. When her foster mom gets home she celebrates by racing through the dog door, jumping on/off the deck and streaking around the yard! Press does love to play with toys...and she will gladly keep your house safe from those evil squirrels. Date of Birth: 8/17/2003 Weight: 60 lbs. Hi my name is Moon. 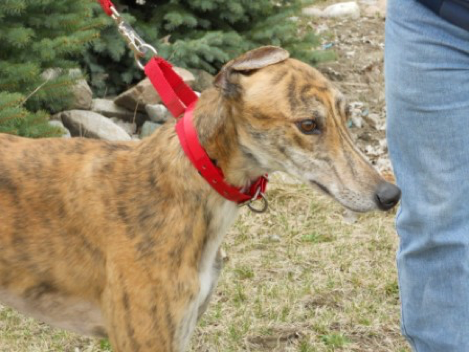 I just made the trip from Kansas to Michigan looking to find my forever home. I am a retired mom and would like to share my love with you. I am quiet, easy going and get along with everyone. I also have EXCELLENT house manners. In case you are wondering about my ear tattoos I originally came from Ireland! Date of Birth: 1/25/2010 Weight: 60 lbs. Rocky has become quite the social butterfly on our block, is ALWAYS is excited to meet a new person or a new dog. He thinks everyone is his best friend, which they are of course 🙂 He loves playing with the squeaky toys that we've bought him and looks forward to his walks around the neighbor hood and on Kent trails where he enjoys playing an ongoing game of I spy for little critters and deer.. Date of Birth: 2/10/2007 Weight: 58 lbs. Torrie has settled into her roll as queen of the dogs here. 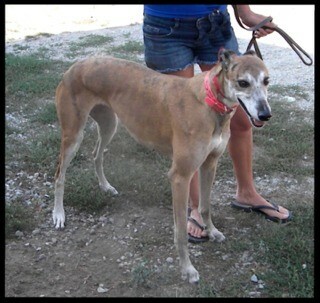 Torrie has a wonderful home and has lots of people who love her. 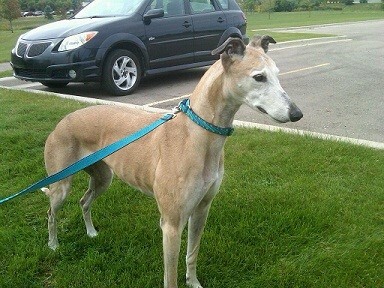 Great going Torrie on finding your forever home!!! Date of Birth: 7/1/2002 Weight: 71 lbs. Flip has found a wonderful family! His new brother is a white with black Jack Russell named Skip. Skip lookes like a minnie-me of Flip. They are soooo cute! Date of Birth: 6/5/2007 Weight: 72 lbs. 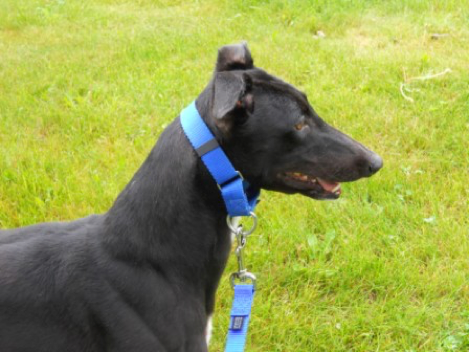 Andy loves to play with toys and the other greyhounds he is currently living with. He just walked right in to his foster home like he already lived there. He walks well on a leash, and he has excellent manners by waiting his turn for attention and treats. He likes to know what is going on around him, but he is not too clingy. His tail is always wagging, and his ears flip forward in an adorable fashion. His tail is really wagging because he has found his forever home. Date of Birth: 9/1/2008 Weight: 60 lbs. 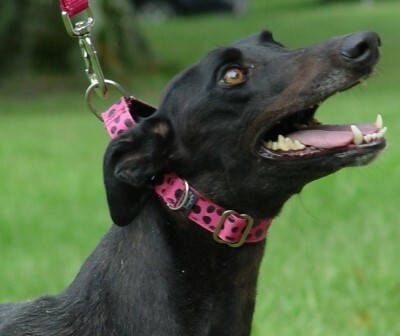 It didn't take Tilly long to wiggle her way into the hearts of her new family. 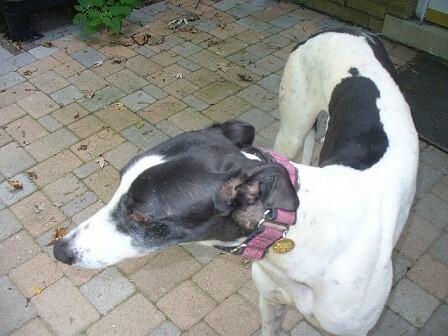 Congrats Tilly on finding your forever home. Date of Birth: 1/9/2009 Weight: 57 lbs. I have been adopted and love my new family. Date of Birth: 10/14/2008 Weight: 72 lbs. Date of Birth: 7/5/2010 Weight: 70 lbs. Hi everyone guess what I have been adopted. My new parents call me "Midas" because I have beautiful gold eyes. I have already won them over and I am here to stay. They have found that I do love to cuddle and play. I did keep them up late playing with my toys because I was so excited. The next day I had to relax a bit so that I could play some more. I love my new home and thank everyone for helping me find my forever home. Thank you to my foster mom and dad for working with me to teach me the ropes. Date of Birth: 2/5/2002 Weight: 62 lbs. Hi, I am Kimmie, and I am 9 years young. 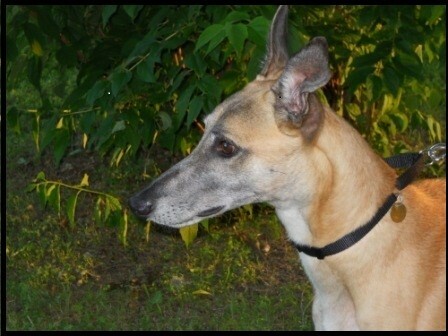 I too have found my forever home again I love to go for car rides and know how to jump in a SUV with no issue. I am very happy when I see my leash being pulled out to go on a walk, and I have wonderful leash manners. I roll over on my back when you rub my tummy, and I will give you kisses. My new mom loves me so much and I am so happy. Thank you to my foster mom for being there for me until I could find my forever home. Date of Birth: 4/4/2008 Weight: 57 lbs. Hi my name is Dottie and I have found my forever home. I have a wonderful new home and my brother Tardy is glad I came too. 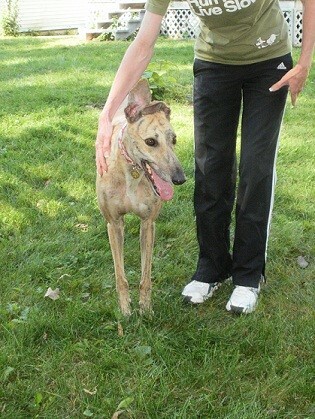 I know my foster mom Deanna is sorry to see me go but I know she is thrilled that she helped me find a wonderful home. Thank you foster mom and dad and Misty too who made me feel at home. 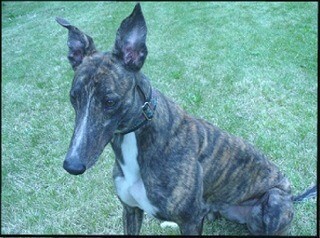 My brother Dewey has already been adopted too and maybe I will see him at a GRACE event. 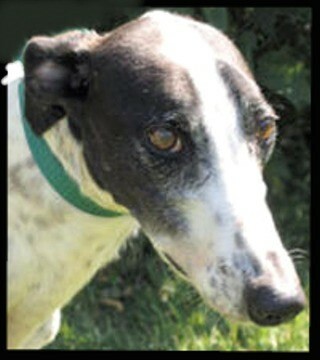 If your interested in adopting a grey you can find my friends on the home page of GRACE. Thank you everyone for helping me find my forever home. Date of Birth: 1/11/2005 Weight: 54 lbs. "Sabrina" January 11, 2005 Approx. 52lbs, is elegant and refined. 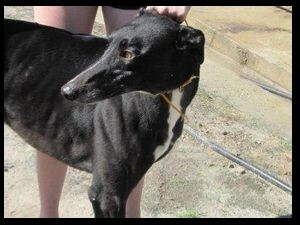 This young girl is a joy to foster, she has excellent house manners, sweet, loving with a touch of playfulness. Sabrina will occasionally grace you with a smile, but more than that she will warm your heart and home with her presence. She was being fostered with teenagers, a 7 year old, pesky small dogs, rats and birds. Date of Birth: 4/28/2008 Weight: 55 lbs. She is a little sweetheart. Velvet and Robbie are perfect together and she loves her new Mom and Dad too. I or I should say we (that's Robbie and me) have our own Double bed. Date of Birth: 6/22/2007 Weight: 67 lbs. Red is handsome and very loving. I have found my forever home. Thank you for making me yours. Date of Birth: 3/14/2007 Weight: 56 lbs. Adora is a super love bug. She is sweet and calm, but if you look at her or call her name (which she loves) her tail will start spinning and spinning (helicopter tail). She is cat safe and loves to hang out all day. She love to go outside, but she is still learning about strangers on our walks. I too have found my forever home and will be taking it easy from now on. Thanks you for making me part of the family. Date of Birth: 9/4/2008 Weight: 60 lbs. Mikasa has found his forever home. He found a home so fast we don't have a picture. But hopefully my parents will send a picture to GRACE so that they can show everyone how happy I am!!! Date of Birth: 1/11/2008 Weight: 80 lbs. 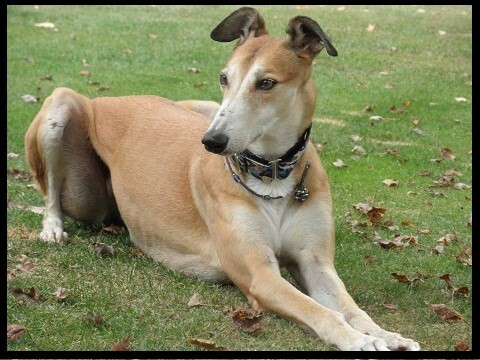 Schmidty has found his forever home and is now living happily in Mio Michigan. 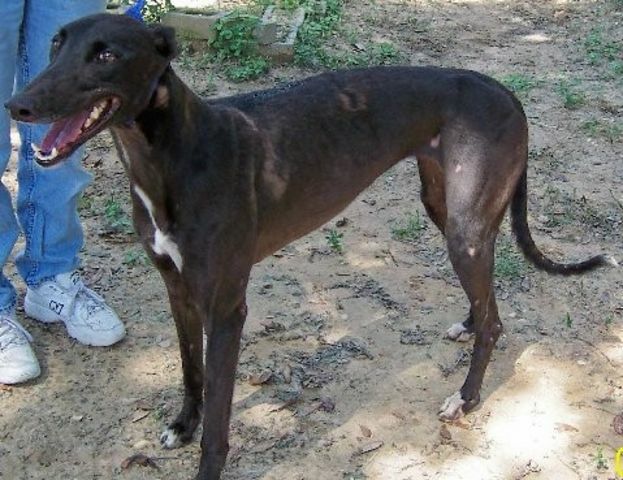 He has a new family that just adores him and can give him the attention that he so deserves. Congratulations on your new home. Date of Birth: 8/23/2003 Weight: 62 lbs. Obie is a sweetheart and super lover. She only wants to be with her people and loves attention. 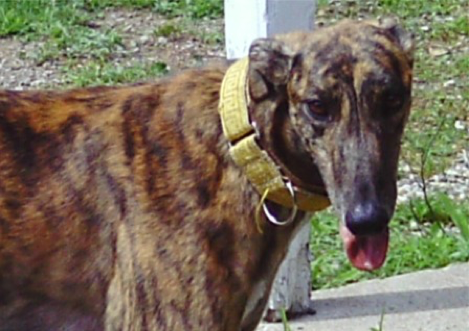 She would do best in a home with people who are around most of the time. She would also do well in a home with another dog to keep her company. She loves soft couches, dog beds, cool wood floors, sleeping in her crate and lots of ear scratches. Obie has found her forever family and boy is she happy. Good going Obie!!! Date of Birth: 9/15/2006 Weight: 68 lbs. 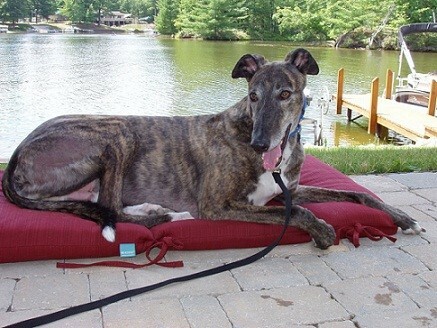 Jax is a real lover...he will steal you heart just as quickly as he will steal your pillow. He loves the retired life and loves people. He is learning about toys and life with other creatures (i.e., cats, dogs and birds) and is doing perfectly fine with them. He is very curious and has his nose into everything. 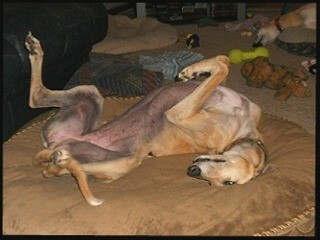 Jax is living the life of Reilly, or should I say he is living with Reilly who also found his forever home. His foster parents flunked fostering 101, which isn't hard to do. Good going Jax!! Date of Birth: 8/5/2007 Weight: 53 lbs. Date of Birth: 2/19/2008 Weight: 76 lbs. Initial Evaluation: Cat and Small Animal "workable"
Rooster is a laid back charmer. His favorite activities include eating, sleeping and lovin'. He is still learning that cats and small animals are not toys to be chased, but he is trying everyday. Rooster is now being spoiled by his new mom. He is very happy with all his brothers. Good going Roooster. Date of Birth: 5/14/2007 Weight: 72 lbs. 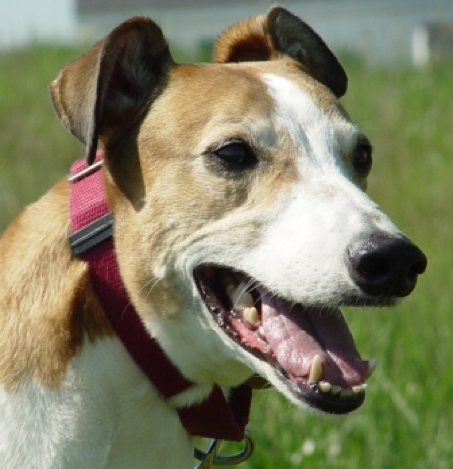 Reilly is a sweet boy who loves everyone he meets. I am laid back and always looking for someone to lean on. I Love to play and will talk to you if you try to ignore me. Reilly has found his forever home and his new mom loves him so much. Good going Reilly. Date of Birth: 8/1/2008 Weight: 57 lbs. 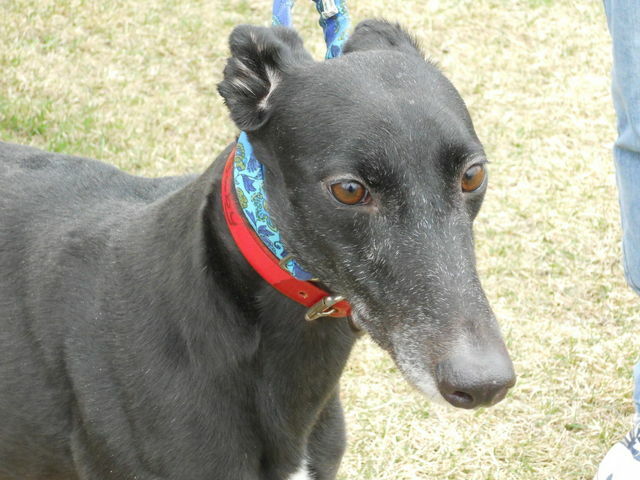 I am a really sweet girl who would like nothing more than to go home with you. Chloe sorta snuck herself right into her foster family's heart. She just was so darn cute that they just had to adopt her. You almost think that someone set them up for flunking fostering. Oh well, Chloe is now home and her new mom and dad love her very much. Date of Birth: 6/28/2008 Weight: 60 lbs. Keeper has settled in quickly to life in a small Up North cottage. 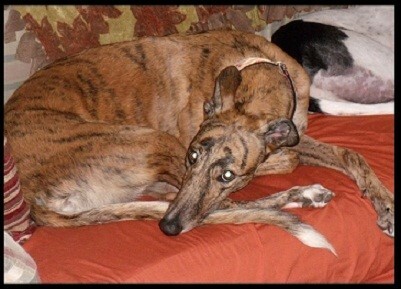 As the third greyhound, she shares space and stuffies with Cruiser ( fka Blast Cruz) and Conor (fka Evan Knows.) She passed the Wally Test with flying colors, showing little to no interest in Wally WonderCat. She enjoys her evening walks and has even dipped her toes and nose into the lake once or twice. 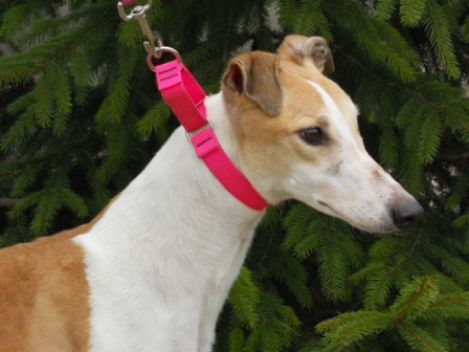 Her human family thinks she is beautiful, sweet and charming - definitely a "Keeper." Date of Birth: 7/13/2002 Weight: 58 lbs. Caprice is a stunning girl. She is adjusting nicely to her foster home. 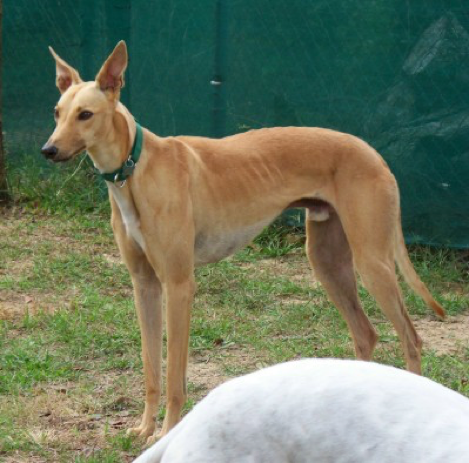 Caprice is outgoing and wants to be with you. She is the perfect blend of vim & vigor coupled with impeccable house manners. She is very food motivated and does well with cats and dogs of all sizes. Caprice is where she should be and she is well loved by all. 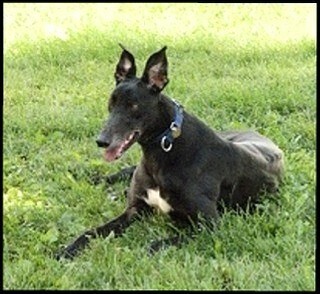 Date of Birth: 7/13/2007 Weight: 60 lbs. 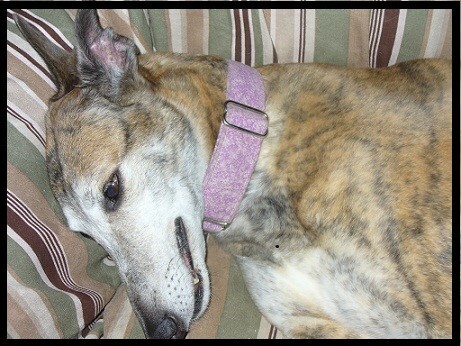 Dina is doing wonderfully in her new home. She had to learn a couple of things, but she has adapted. It is tough to be good when there is so much to see and do but she is trying. Congratulations on your new home. Date of Birth: 5/17/2008 Weight: 56 lbs. 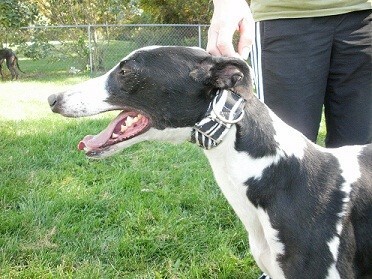 Chinook is a small, playful, happy black girl. She smiles when you call her and she bounces to you for love. 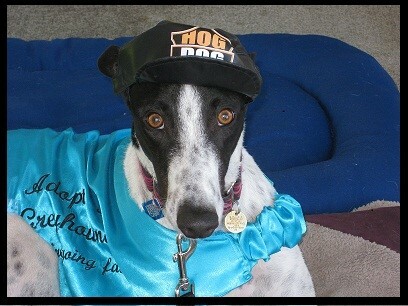 Diamond has found her forever home and she is truly one little special girl. When she is happy her smile shows it all. Congratulations on your new home. Date of Birth: 2/2/2007 Weight: 55 lbs. 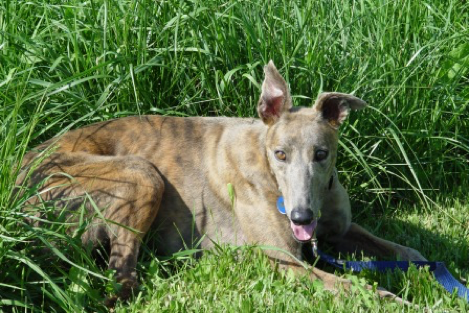 Kellie is a sweet little girl who loves attention. She is one beautiful little girl. 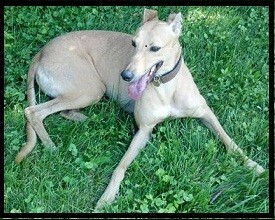 Kellie has found her forever home. I know that her new mom loves her very much. Great going Kellie!! Date of Birth: Approx 4 yrs Weight: 69 lbs. True to my name, I’m a powerful HEMI engine in a small package!!! I think I must look like some guy named “Aw” though, cause that’s what people say when they meet me and I give them kisses. I am a world class kisser. 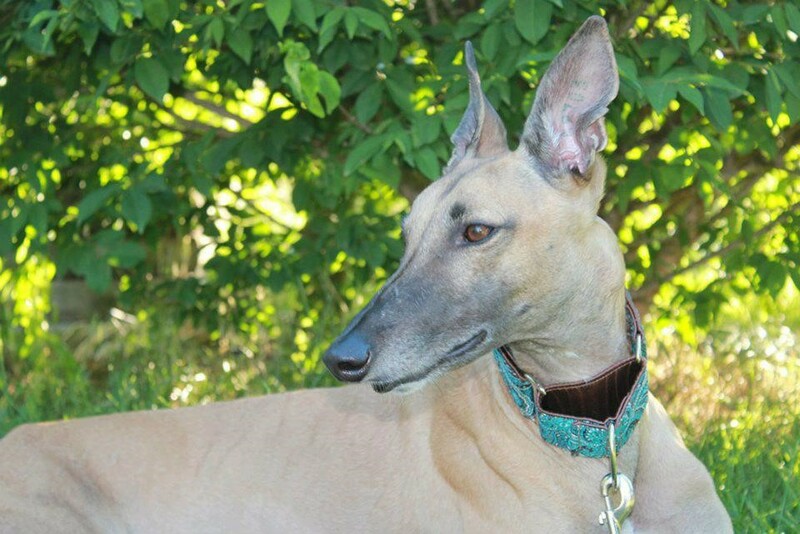 And I’m very smart – not sure what’s wrong with the other greyhounds around here, but the lab and I, well, we can do a perfect “sit” and we like to fetch. We also have a great time playing tug-o-war. Because I’m so full of zest for life, I hope I can find a home with a yard, another dog, and maybe even some of those big “kid” things to play with. Though I am quite the busy bee, I also love to curl up on the sofa when my foster mom isn’t looking. I know I’m not supposed to do that, but I really, really, love a nice nap on the sofa (I don’t take up much room). Otherwise, my house manners are impeccable, and I think the dog door is really cool. 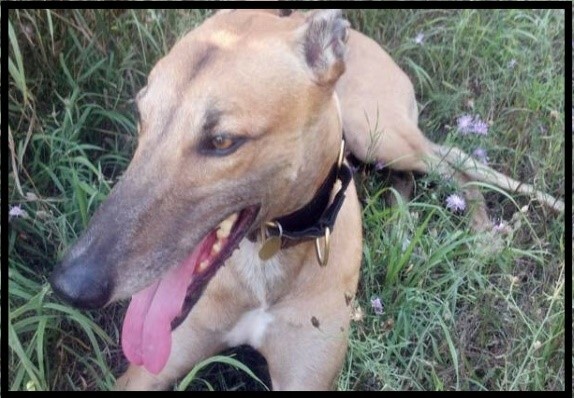 All in all, I’m a very fun guy with lots of energy as well as an over abundance of love and kissies to give to my forever family. I’m not so sure about these things called “cats”. They look like they want to play, but when I get too close they make the most awful sounds and spit. Mom tells me “no” when I approach them, I think she’s afraid they will hurt me. Date of Birth: 8/2/2007 Weight: 69 lbs. Marco is a big happy and goofy boy. He loves to seek out your hand for a scratch. I smile all the time, maybe my new dad can get some pictures of me. I just love my new home. I still have a problem with those shinny floors, but my dad helps me out. 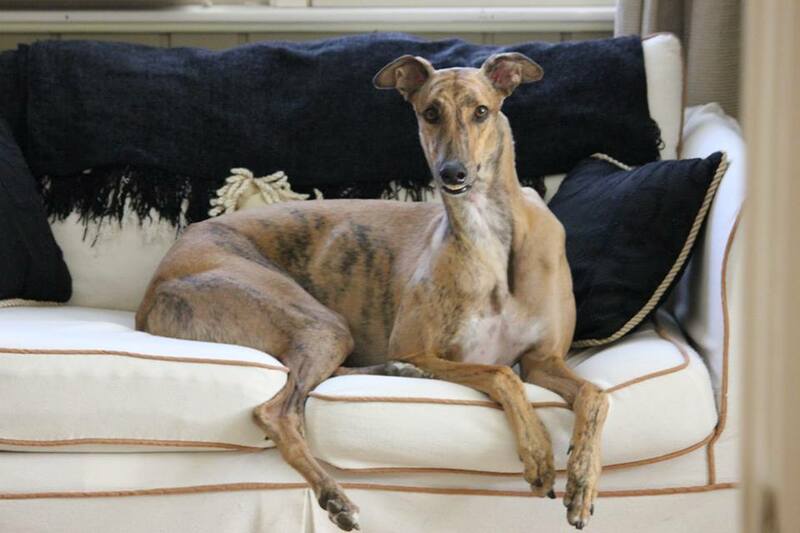 I am soooooo happy in my new home in Holland. Date of Birth: 1/8/2008 Weight: 75 lbs. 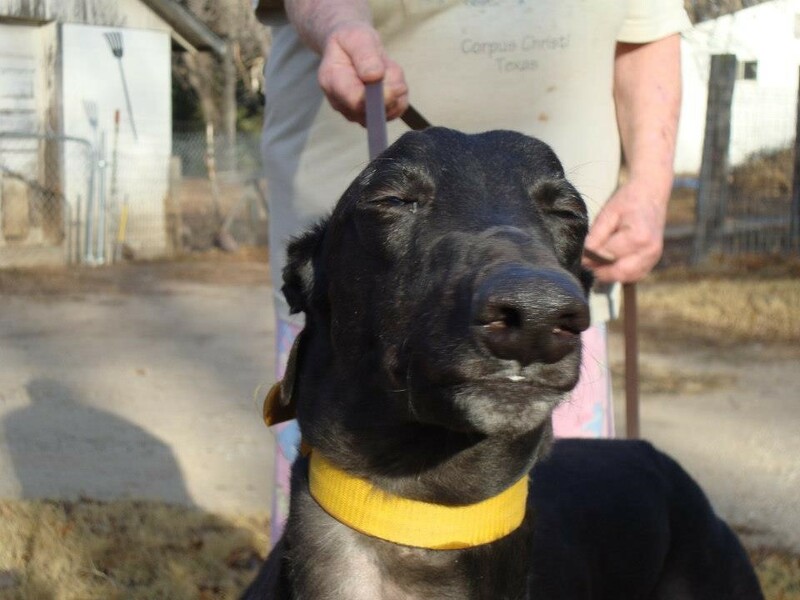 Tack is a handsome, sweet, laid back boy. His favorite pass time is following his foster dad around the house waiting for him to drop some tiny morsel of food. He has wonderful house manners and is a joy to have in the house. He is cat safe, but will need some guidance around small dogs. I have found my forever home and hope my friends will find theirs soon. Date of Birth: 4/25/2005 Weight: 78 lbs. Date of Birth: 7/22/2002 Weight: 59 lbs. Hello, I'm Sunday. My new dad tells me I am a SUPER SWEETHEART. I am not sure what that means, but I like it here. 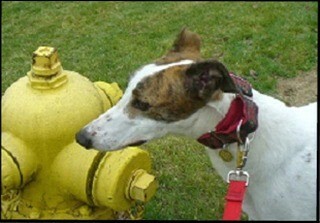 I like to be with my people and my greyhound friends. I am a super cuddler and I love to keep my people warm. I found my new forever home with my new sister Pace. I have stuffies and lots and lots of attention. Date of Birth: 4/5/2004 Weight: 62 lbs. so well in my new home. Date of Birth: 1/30/2005 Weight: 62 lbs. They tell me I am a lover. I think that I am a princess. I like to play and my new mom says I help her enforce the rules. I am ok at being an only dog too. I love the one on one attention. As you can see I don't like having my picture taken. I have made it to my new home. I have lots of people that think I am so special. I was so happy to see my mom so that we could be a family. Good going Angel you are now home.